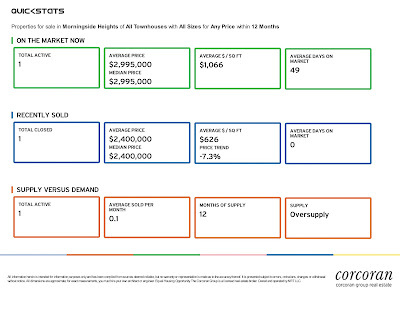 There are currently 31 coops on the market in Morningside Heights. 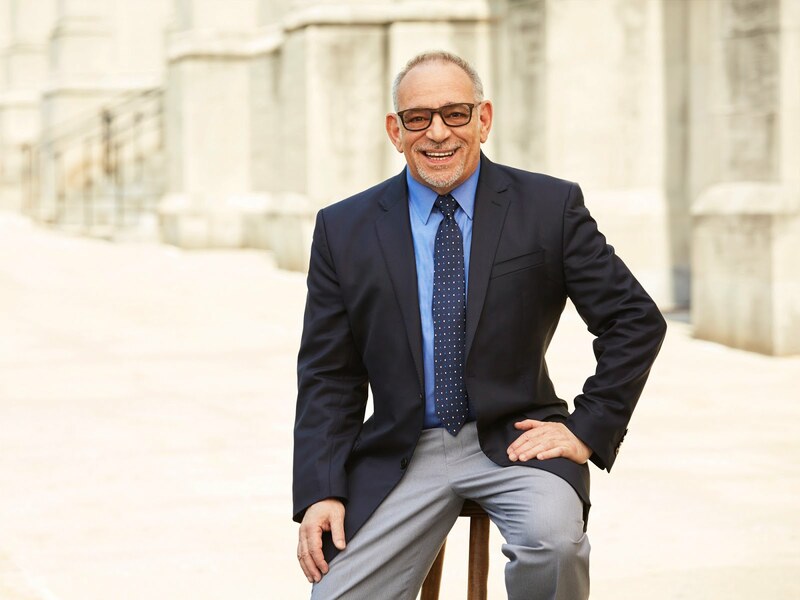 Apartments for sale range from a studio asking $265,000 in Morningside Gardens to a 5 bedroom, 3 bath duplex at 440 Riverside drive asking $3,450,000. The average price is $715,210. 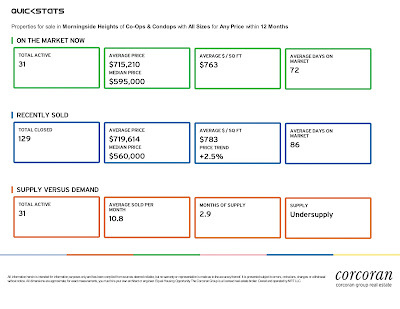 The average price per square foot is $763. The average days on market is 72. 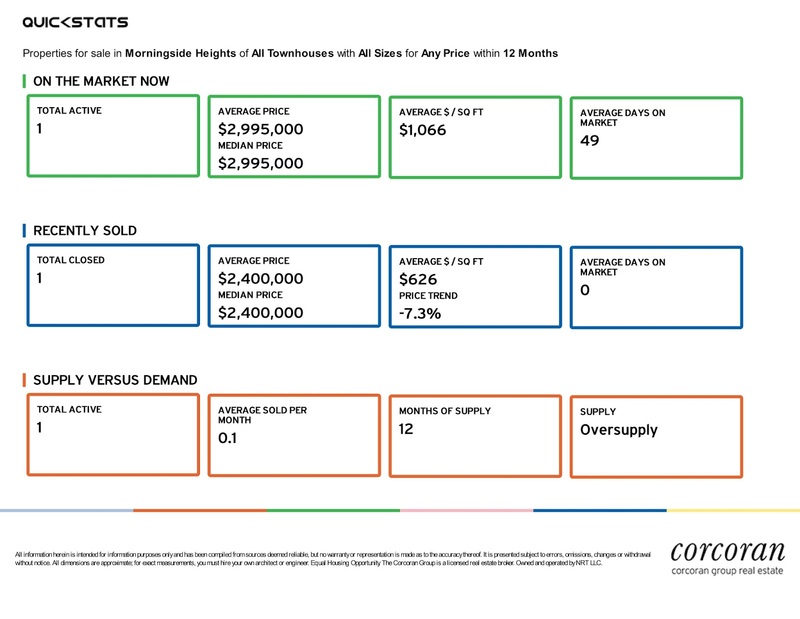 There is currently 1 townhouse on the market in Morningside Heights. A 4 story, 2 unit, 4 bedroom with 4.5 baths with garden and roof deck on Manhattan Avenue between 117th Street and 116th Street.